Most of the greatest, most admired businesses started with two partners, like Google’s Larry Page and Sergey Brin, Apple’s Steve Wozniak and Steve Jobs, or Hewlett Packard’s Bill Hewlett and David Packard. The great success stories make it look easy to keep a partner, but it’s a lot harder than it looks. Why do some last and others fall apart? Here are four tips on what really makes the team work. If your small business is using Facebook for marketing, you may want to know how Facebook is changing the way the News Feed works for its users. These changes will specifically affect businesses and the way they conduct Facebook marketing campaigns through their Facebook Pages. This could affect your company’s social media marketing plan, so here are some common questions and their solutions. Maybe your partnership or marketing is working so well that you’re thinking of expanding your business or moving to a new location. Your first thought may be to dust off the old business plan… but is it the plan or the planning process that matters? Check out the comments at the end of this article to know what your peers and investors think. Good news if you are thinking of expanding your business. A recent study found business owners in the United States were optimistic about the prospects for the U.S. economy in 2015. Most said they believe their business will grow or stay the same in the following year. Do you agree? But it’s not all work and no play. It’s the season for holiday parties and festivities. Certain that pair of shoes or jacket you saw in last night’s movie would be perfect for your holiday party? Check out TheTake, an app that uses Shazam-like technology to pinpoint products in those scenes, then recommends retailers where you can purchase that same product or similar options. 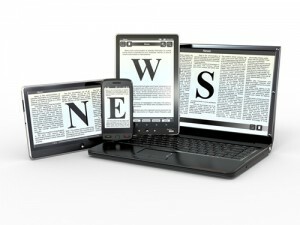 Keep up with all of the latest news by subscribing to the blog.